This chapter considers whether China’s aid architecture and new aid approaches can be considered to be challenged to the existing international order. That is whether China internally challenges the processes and practices of the World Bank, OECD or EU as aid donors. It uses a case of Busan in 2012 to explore the relationship between China and other aid actors. 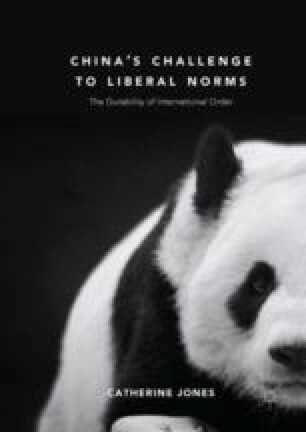 The chapter makes the argument that China is acting as a norm entrepreneur within the aid arena and makes use of the tools of normative change of new populations (in the form of the grouping of emerging states) and reinterpretation of the Washington consensus to present this challenge.